Langhe is an all-encompassing zone lying due south of Alba and the River Tanaro in the province of Cuneo. Barolo and Barbaresco both lie within its boundaries. Langhe is also the name of a regional DOC zone, which is used to classify wines made outside of the traditional Piemontese varietal scheme (Nebbiollo, Barbera, Cortese etc). Chardonnay and Sauvignon Blanc wines from the region are, for example, classified as Langhe DOC. Effectively the ‘second wine’ of Piedmont’s great Barolo and Barbarescos, the Langhe Nebbiolo DOC is the only way Langhe producers can declassify their Barolo or Barbaresco fruit or wines to make an early-drinking style. Langhe Nebbiolo can be released onto the market as soon as practicably possible either as a fresh, fruity wine made solely in stainless-steel, or later on having been aged in oak. 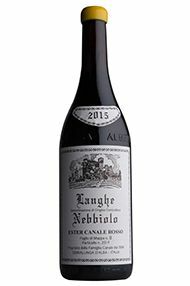 The Langhe Nebbiolo DOC was created in 1994 along with a plethora of other Langhe DOC wines (so diluting their significance). Unlike Nebbiolo d’Alba, Langhe Nebbiolo can be cut with 15 percent other red indigenous varieties, such as Barbera or Dolcetto. Leading, quality producers of Barolo and Barbaresco are more inclined to use 100 percent Nebbiolo, recognising its role as a stepping stone, using the fruit from vines that are either too young or poorly situated. 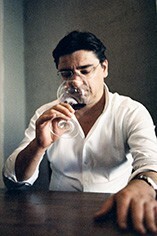 Larger producers tend to use the Langhe Nebbiolo DOC as a valve, declassifying wines destined for Barolo or Barbaresco when the market is difficult. Confusingly Langhe Nebbiolo can also be the declassified wine of Nebbiolo d’Alba.